Mental health and mental illnesses are prevalent in the world today and can lead to a variety of other conditions. Despite the efforts of many organizations to create awareness about mental illnesses and the importance of mental health, there still seems to be a lack of knowledge on the subject for many. In order to better explain exactly why mental health is so important in the world today, below are 9 reasons. Mental illnesses are more common than you think. In fact, they are more prevalent than cancer, diabetes or heart disease (11 Facts About Mental Health, 2014). Approximately 20% of the world’s youth have mental disorders or problems and about half of them develop disorders before the age of 14 (World Health Organization). This is a massive scale and something that should be widely addressed when it comes to awareness and treatment. Anyone can have a mental illness. Regardless of a person’s location or status, mental illnesses can affect anyone. No matter people’s age, race, religion or income, these illnesses can be present. They can disrupt a person’s thinking, mood, feeling and daily functioning (11 FAMH). There are many different kinds of mental illnesses. The most serious include depression, bipolar disorder, schizophrenia, obsessive-compulsive disorder, post-traumatic stress disorder, panic disorder and personality disorder. Four of the ten leading causes of disability in the U.S. and other developing countries are also caused by mental disorders such as these (11 FAMH). There are other, more mild cases of mental illnesses that should still be addressed, but these are all very serious examples. These conditions are not to be messed around with and another reason why mental health awareness and action are so important. The leading cause of disability worldwide stems from mental and substance use disorders. Nearly 23% of all years lost due to disability is caused from mental and substance use disorders (WHO). For more information on mental health awareness, visit AnxiousMinds.org. For more information on substance use disorder and an addiction-recovery solution, visit Ascent.org. Mental disorders and addiction contribute to many suicides around the world each day. 800,000 people commit suicide each year and it’s the second leading cause of death in 15-29-year-olds (WHO). Becoming aware of the signs and effectively managing the symptoms is key to reducing these numbers. Mental disorders increase the risk of contracting other diseases and inflicting self-injury. These other diseases can include HIV, diabetes and cardiovascular disease (WHO). Thus, not only are mental illnesses dangerous on their own, but they can also lead to other harmful diseases. Most people with mental illnesses don’t receive proper treatment. Every year, up to 8 million Americans with mental illnesses do not receive the treatment they need (11 FAMH). Stigma and discrimination play a large role in this. There is a myth that many mental disorders are untreatable. Some people also believe that people with mental disorders are difficult, unintelligent or incapable of making decisions (WHO). In many instances, people with these disorders are treated as a number rather than a person who needs treatment. Mental illness needs to be taken more seriously. First of all, it needs to be better integrated into the public health agenda and within primary care. For other countries, their resources need to be drastically increased when it comes to mental health. Regions of the world with the highest percentage of population under 19-years-old have the poorest level of mental health resources (WHO). There is only one child psychiatrist for every 1 to 4 million people in most low and middle-income countries (WHO). `Mental illness causes people to miss work. Mental health conditions are the second-leading cause for employees having to miss work. By 2020, major depressive illness will be the leading cause of disability in the world for women and children (11 FAMH). Mental health is obviously an important subject in today’s society and deserves proper attention. 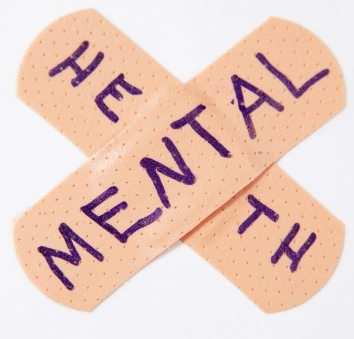 With the proper care and treatment, symptoms of mental illnesses can be greatly reduced. In fact, between 70-90% of people with mental illnesses experience a significant reduction in their symptoms and an improved quality of life after adequate care and treatment (11 FAMH). Like Anxious Minds mentioned above, there are many organizations working to increase awareness about mental health. Like with mental health, Ascent is also doing our part to increase awareness about substance abuse and provide as many people as possible with the Ascent solution. The faster that people are made aware and treated, the faster they can start enjoying their lives.